I've got a spa trip planned for this weekend and so I'll definitely be taking some moisturiser with me. Chlorine always dries out my skin and so I'll need a heavier cream than what I normally would use on a daily basis. 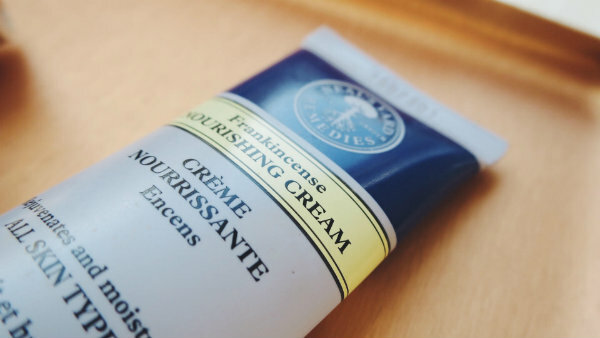 Neal's Yard Frankincense cream is my favourite for this as it's an intense moisturisng treatment. I definitely wouldn't take this with me on every trip away as it's a bit of a luxury product but for something like this weekend (which is a very girlie trip) a bit of extra pampering is always fun. I don't use a lot of face masks but Glam Glow is by far my favourite and deliveries amazing results. 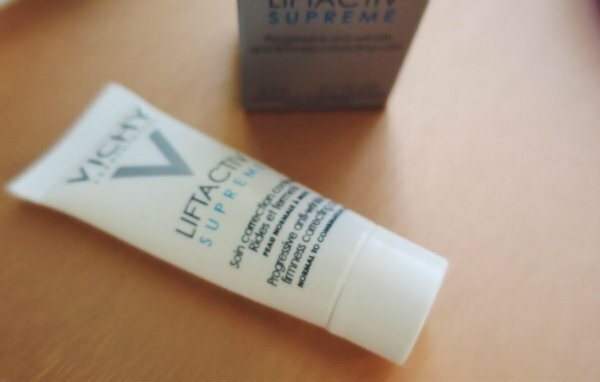 As I've mentioned quite a few times before, I'm currently using the Vichy LiftActiv moisturiser to combat winter skin. When I ordered the full size jar from Feel Unique, they sent me two mini tubes as well which I take away with me to save space and weight. As I said at the beginning of this post, just because you go away, it doesn't mean that you should compromise! I've been using Alpha H Liquid Gold or Pixi Glam Glow for my evening routine but the bottles are just too large to take away with me. 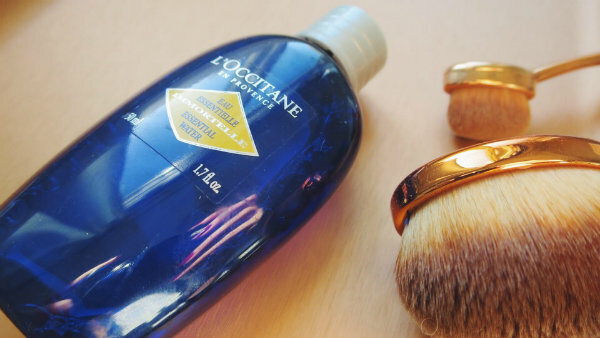 I really like this L'Occitane toner as it feels really fresh and tightening on the skin. What's your favourite on-the-go skincare item? 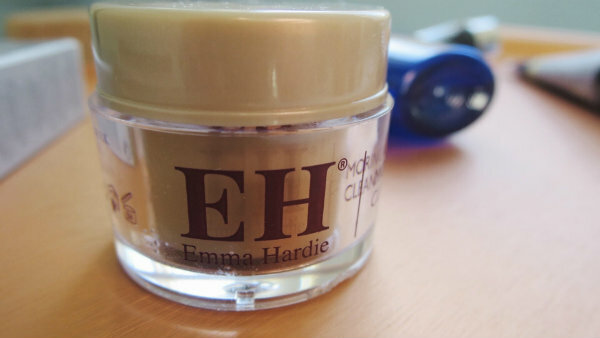 I love the Emma Hardie cleansing balm, although I haven't actually shelled out for a proper one since I used up my mini! My favorite on the go skin care items are a facial scrub that I mix with baking powder. Using baking powder with my cleansing products and scrubs have changed my skin completely and is especially perfect for people with oily skin. That body cream seems to be good, also that mask Glam Glow sounds really interesting! 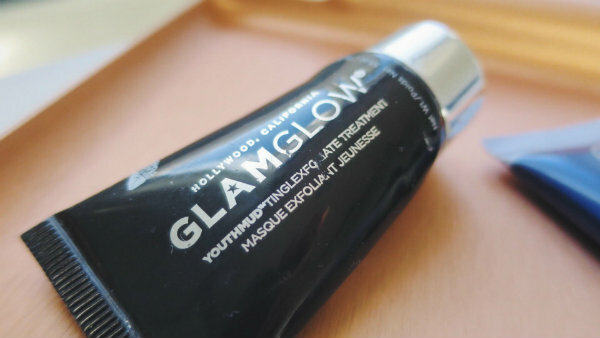 I love that glamglow mask! I am very intrigued by the cleansing balm! I have a vichy product that I received as a sample and it seems really good! great share. Your beauty products are amazing! I bever heard of EH, butI love Vichy, L'Occitane and Neal's Yard! The hand creams by NY are really the best! Hope you have a nice day and enjoy your weekend! Enjoy your spa trip, I am jealous! I think I have heard of that Glam Glow mask, I need to check it out. 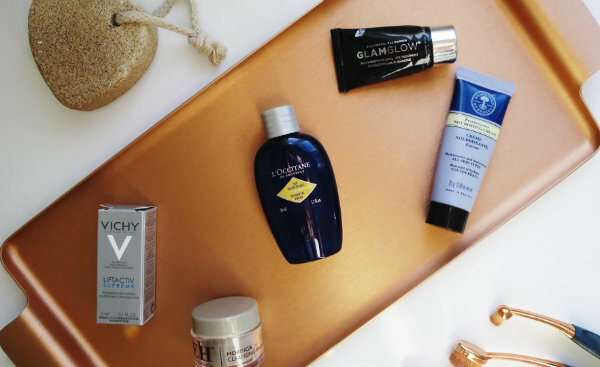 Great list of products - would like to try the Vichy LiftActiv moisturiser and I am a big fan of the L'Occitan toner too! Vichy brand is really good :) Wonderful post dear! They seems great products! Thanks for sharing! 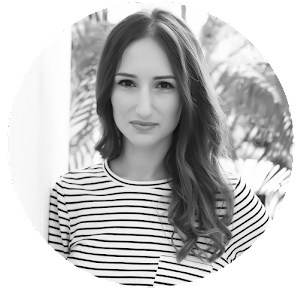 Awesome products, girlfriend- I love reading about what other people back when they travel; it always gives me great ideas! These look like great beauty goodies, Rosanna. I haven't tried any before, but wanna try Vichy. Heard good things about em. I've a lot of on-the-go products, mostly Nivea products and my African Sheabutter. Ha!! Some very nice products :) I would like to try some..
LOVE the Glam Glow mask! It's one of my favorite splurge products. I used to think masks were just hyped up, but once I started using them regularly, I actually see a huge difference!